Automatically reduces and maintains inlet water pressure at a constant pressure of 1 bar (max. 10 bar). 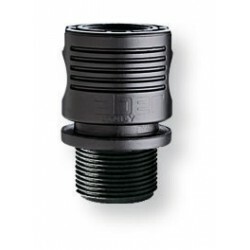 Connects to 3/4” (20-27 mm) threaded taps.